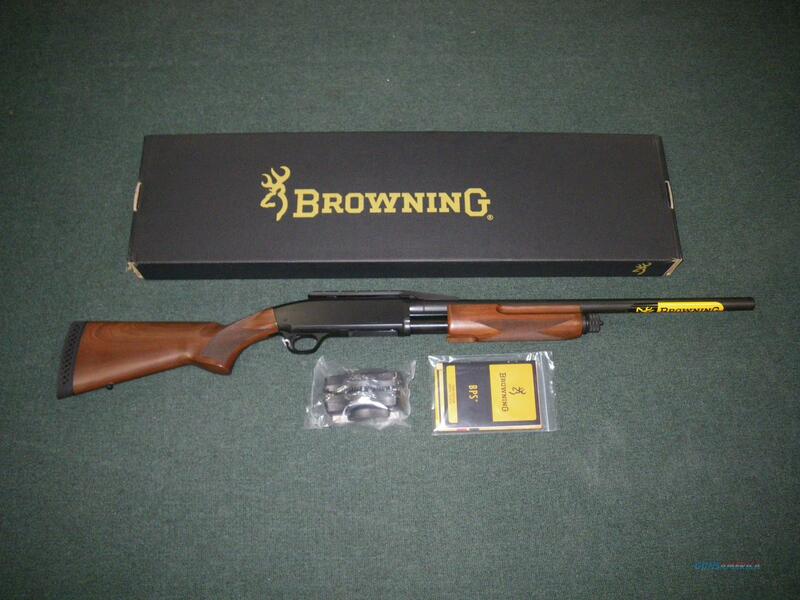 Description: You are bidding on a new Browning BPS Rifled Deer Hunter in 20ga with a 22" barrel. The BPS is the undisputed king of pump action shotguns. With its all-steel receiver, bottom ejection, top tang safety and robust components throughout it offers a lifetime and more of hard hunting. When you need follow-up shots that are totally reliable you need a BPS. The Rifled Deer Hunter is exactly what hunters in shotgun-only big game states need. The slightly heavier barrel is fully rifled with the precision you would expect in a rifle. The result is the ability to shoot slugs -- especially modern, high-performance sabot type slugs -- with accuracy you would expect from a centerfire rifle. The blued finish is ultra-deep exactly as you expect from a fine Browning. The polish protects the steel surfaces of which there are plenty on this shotgun. Dual action bars keep the slide and bolt in totally alignment all the time and you can feel it as you work the action. The feeling of steel on steel is more akin to a fine over and under than a pump action shotgun. Displayed images are stock photos. Any questions please feel free to ask (our phone number is in the additional information tab above).